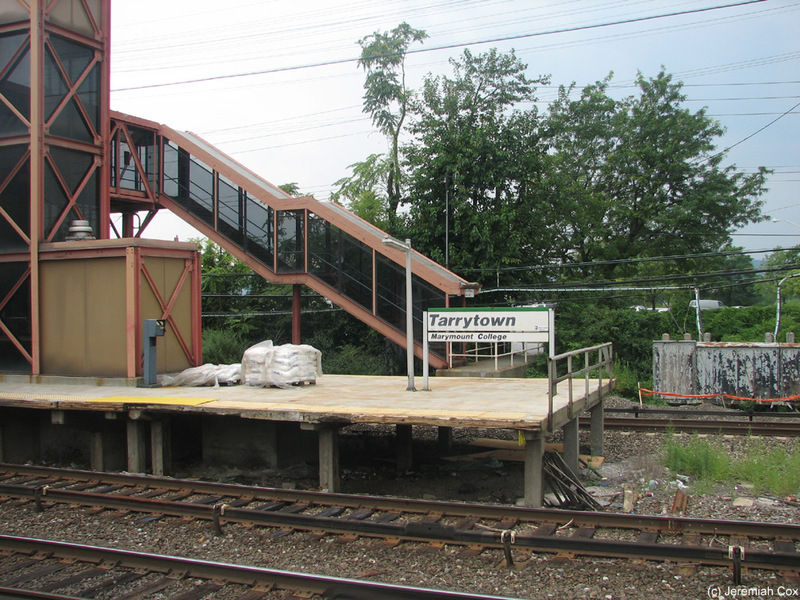 The Tarrytown Station received a $36 million renovation and was completely rebuilt between 2010 with renovations completed in September 2012. 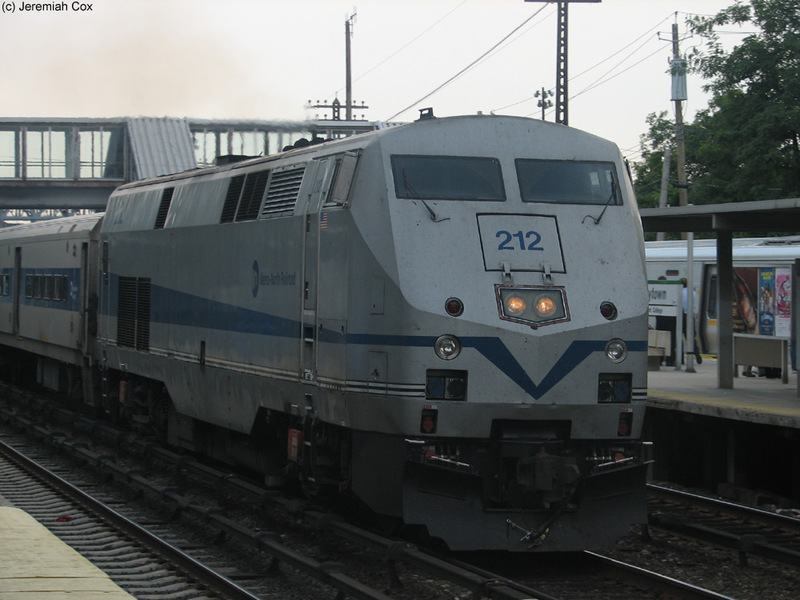 The station is an important express stop with all 3 of the basic off-peak trains the Hudson Line operates per hour stopping at the station. 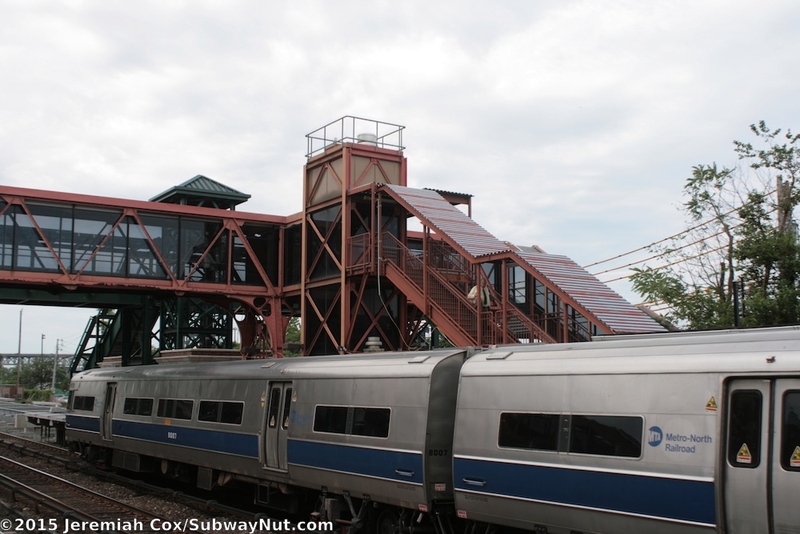 This includes the hourly express train that provides a non-stop ride from here to 125 Street. 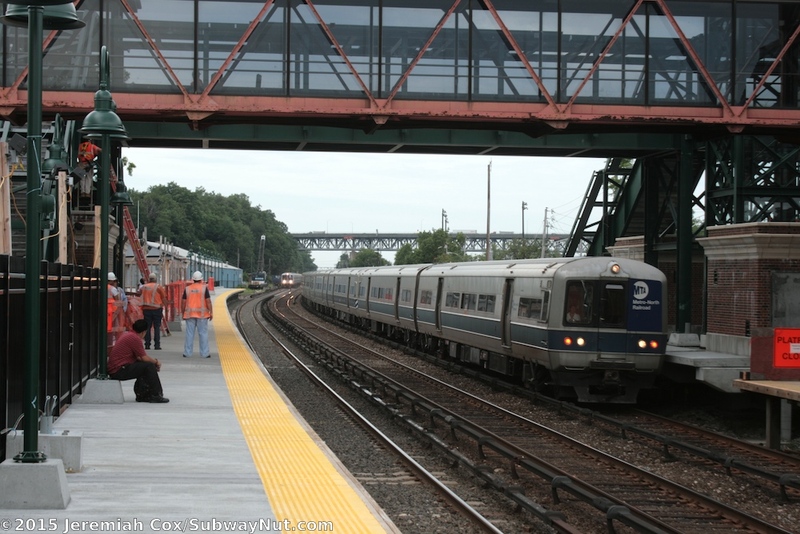 The station is the connecting point for Transport for Rockland's TAPPAN ZEExpress that uses motorcoaches to connect commuters in Rockland County to the Hudson Line. 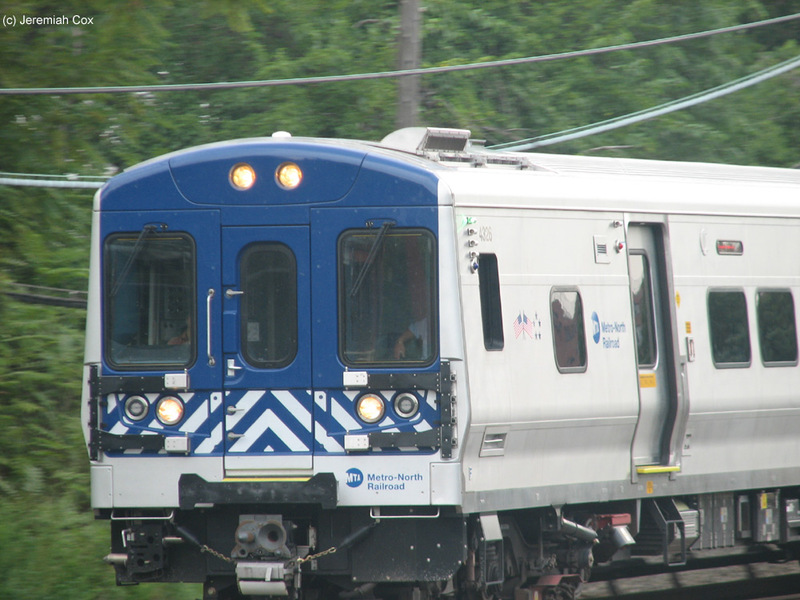 The stop is a popular park & ride station because of its proximity to the Tappan Zee Bridge, with commuters and day-trippers coming from a dispersed area. 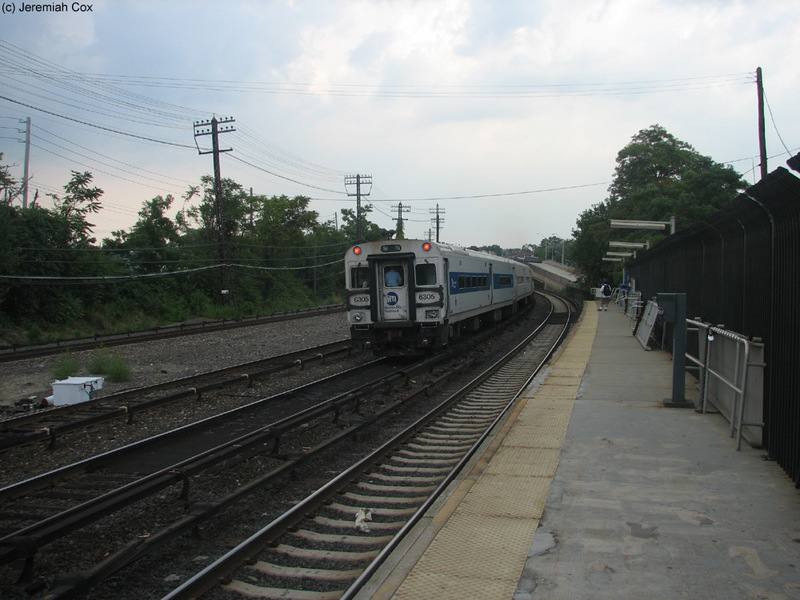 For drivers, the approximately 900 spaces in 3 parking lots surrounding the station are all controlled by the Village of Tarrytown that has the usual yearly parking permits, for 2015 these cost $385 for residents and $1,200 for non-residents. Daily parking is also provided and like most parking lots weekend parking is free, except during Yankee Games. 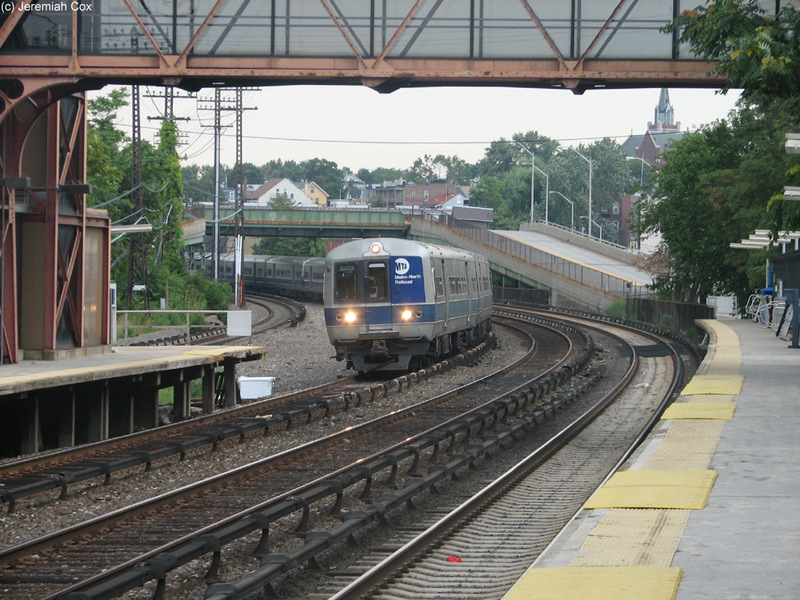 During Yankee Games (beginning in June 2009, just after the opening of the stadium's Metro-North Station) the village of Tarrytown charges $10 ($8 was the fee originally) for parking for non-residents (residents can park for free during Yankee Games with a free Tarrytown Village recreation permit). The parking lot also includes a few electrical vehicle-charging stations. 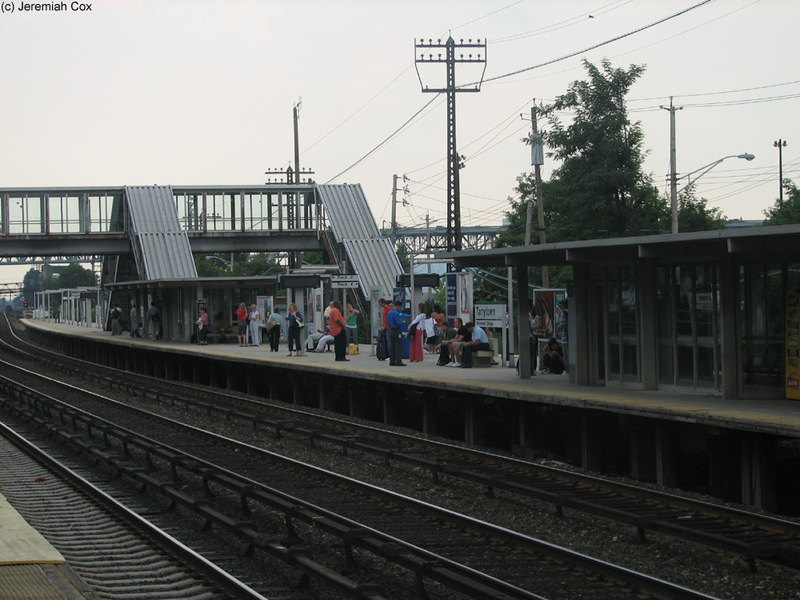 The station itself has a unique platform layout for the four track line with a 10-car island platform between the two New York-bound express and local tracks, a track that doesn't platform, followed by a side platform for the normal northbound local track. 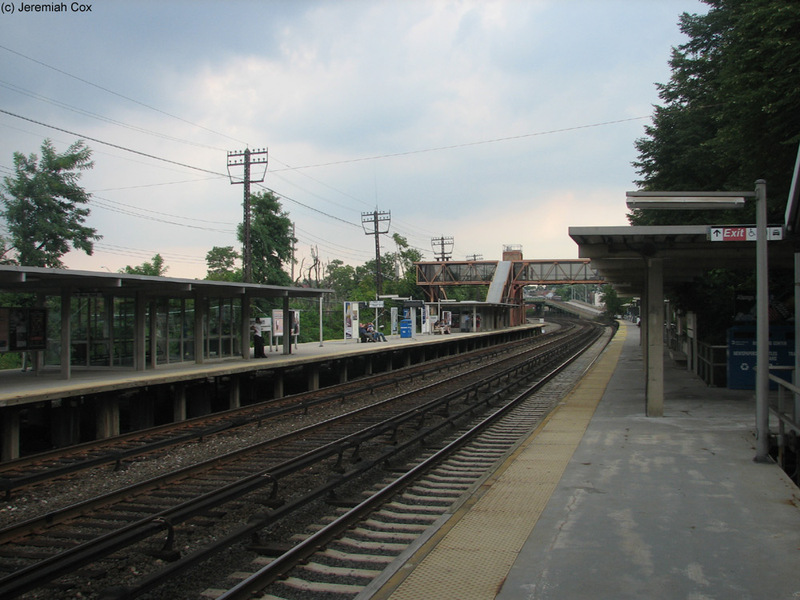 These platforms are also slightly offset from each other with the northbound platform running slightly farther north than the southbound one. 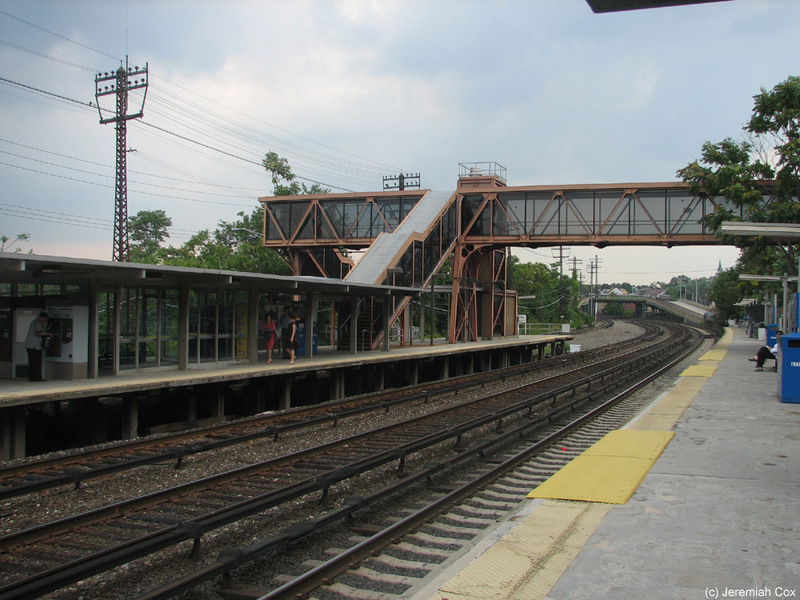 Two pedestrian bridges connect the platforms. 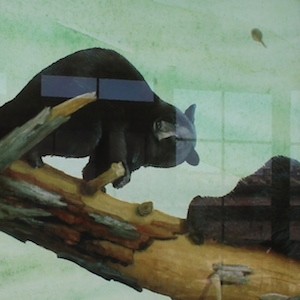 These each have green walls and are fully enclosed. 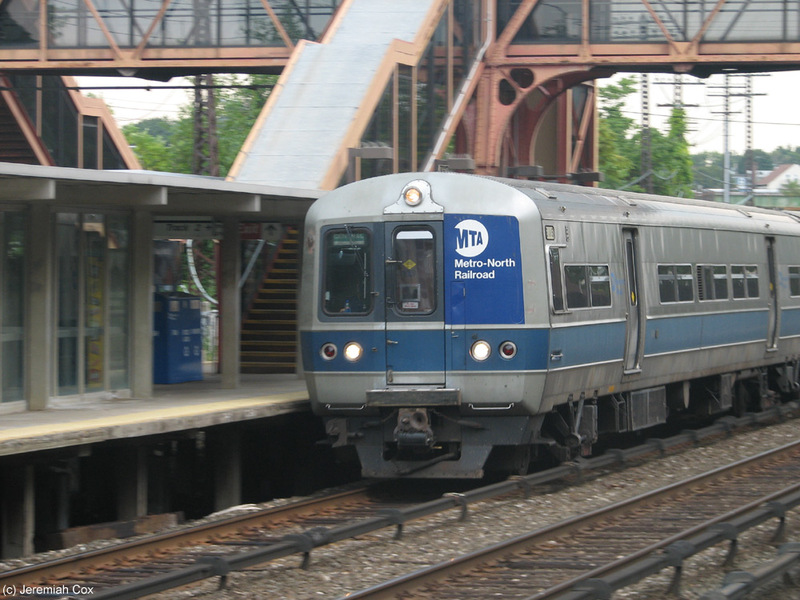 They both connect the side platform and depot with the New York-bound island platform before continuing to the main station parking lot on Lower Green Street on the river side of the tracks. 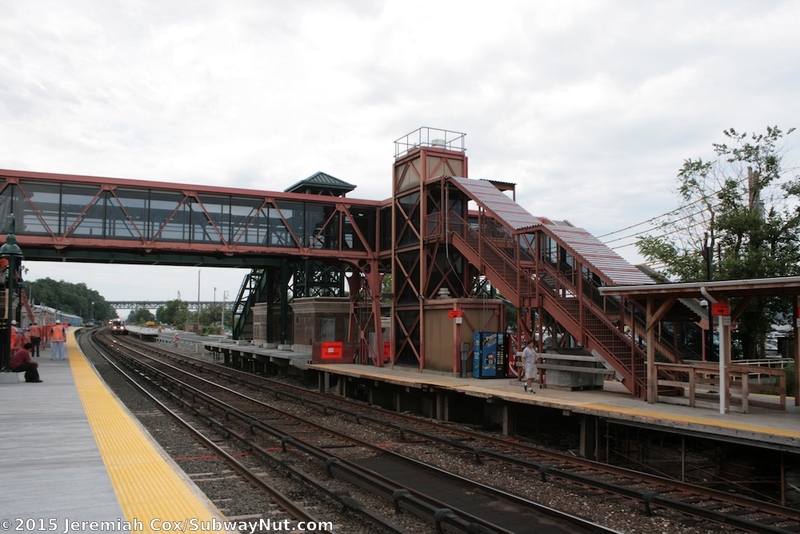 The northern overpass (leading directly to the northern end of the northbound platform) has an elevator (3 in total) and a staircase down to each platform. 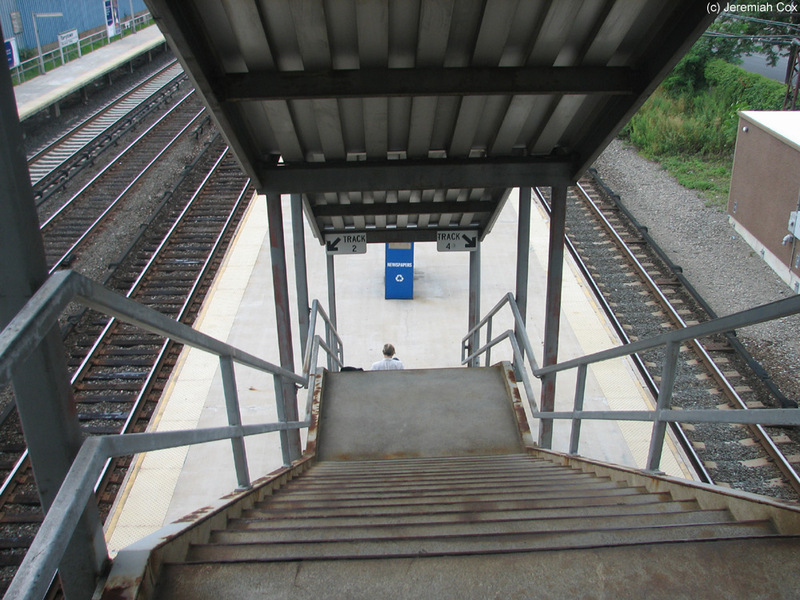 The southern one (in the middle of the island platform, towards the southern end of the side platform) has staircases only (two staircases down to the island platform, one staircase at each end). 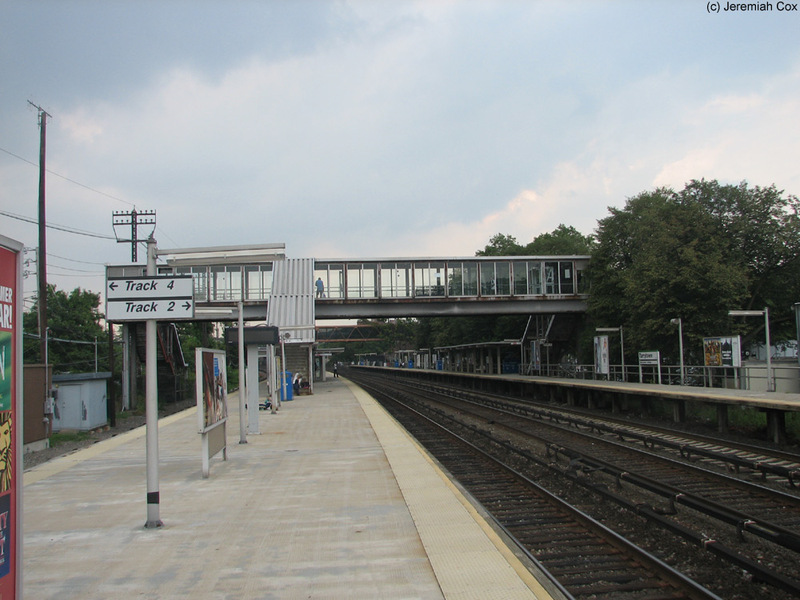 The platforms are covered by canopies between the two pedestrian bridges and otherwise left exposed to the elements. 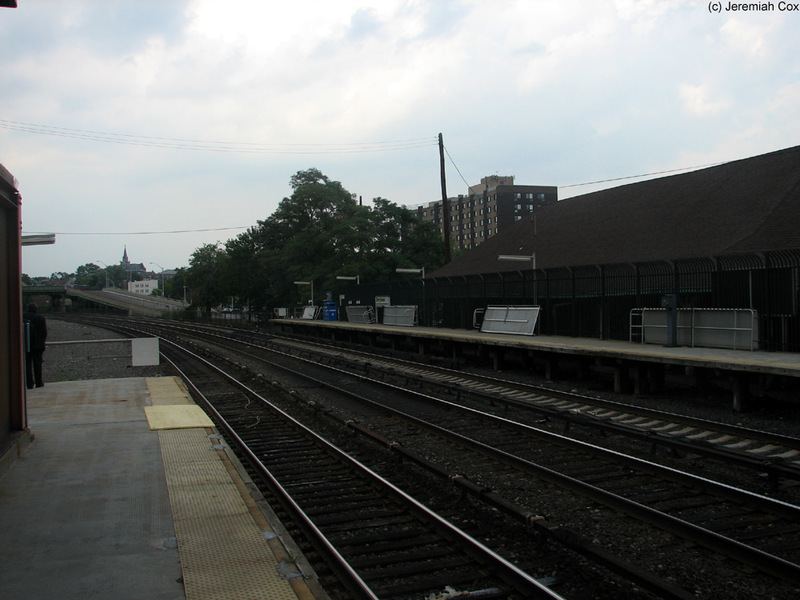 Near the northern end of the northbound platform is a large single-story stone depot that was originally built in 1890 and then rebuilt between April 1922 and October 1925 after a fire caused by a rouge cigarette. 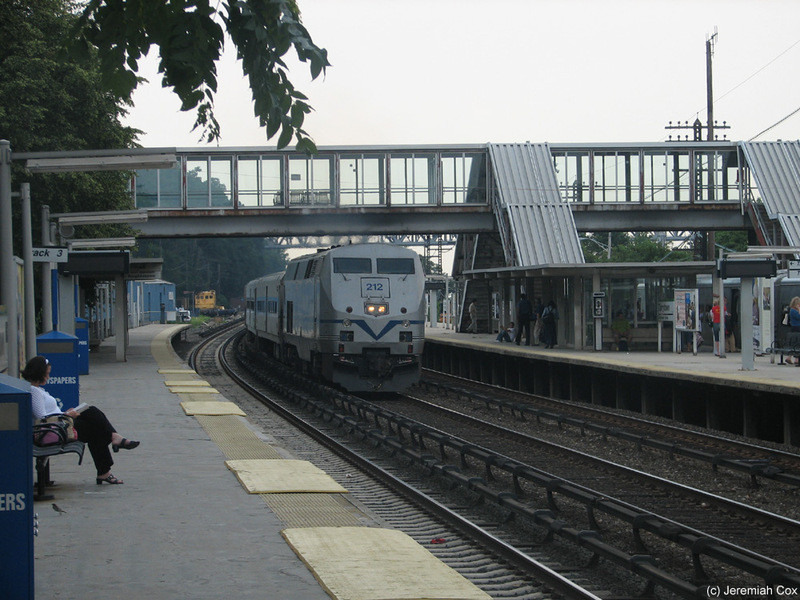 This building has a tall gabled roof with a covered porch that runs alongside and below the high-level platform. The trim and wooden supports that hold up the roof are painted orange with red stones interrupting the grey ones around the windows. A tall brick chimney extends up. Inside the station house is a wood paneled waiting room with wooden benches and a ticket office still open for one-shift weekday mornings between 6:10am to 1:40pm. 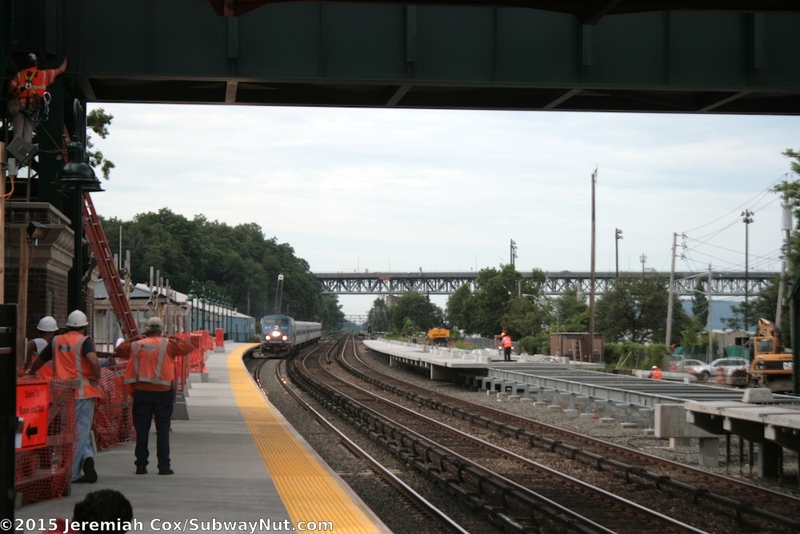 Directly outside the station house is Station Plaza with three drop-off lanes that have islands, a taxi stand, and bus stops for the Tappan-Zee Express and Bee-Line local buses. 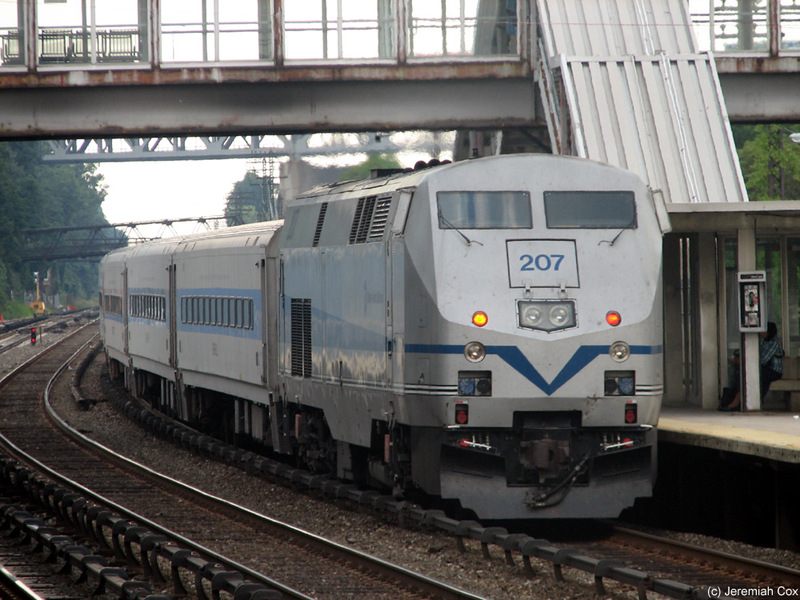 Genesis P32AC-DM #207 pushes a southbound Express train bypassing Tarrytown. 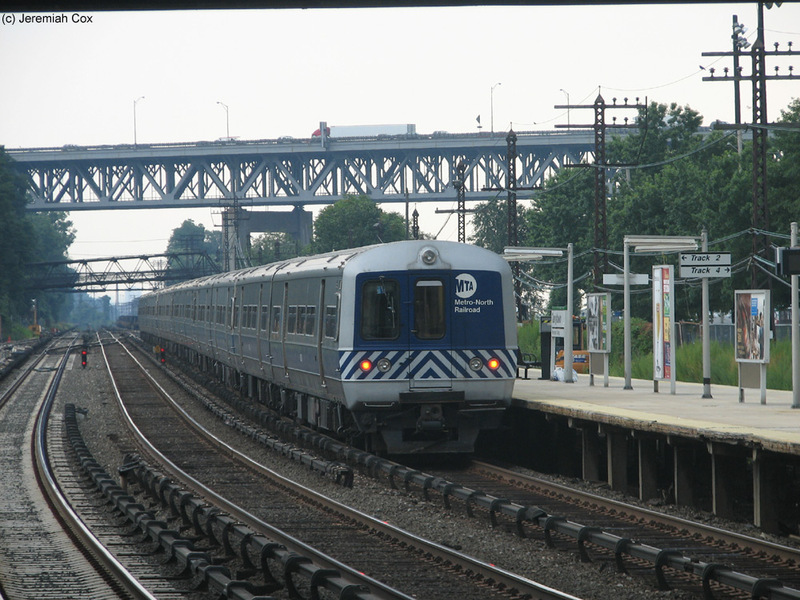 M1A #8115 leads a deadheading train approaches Tarrytown running Southbound to pick-up passengers for another PM Rush Hour run. 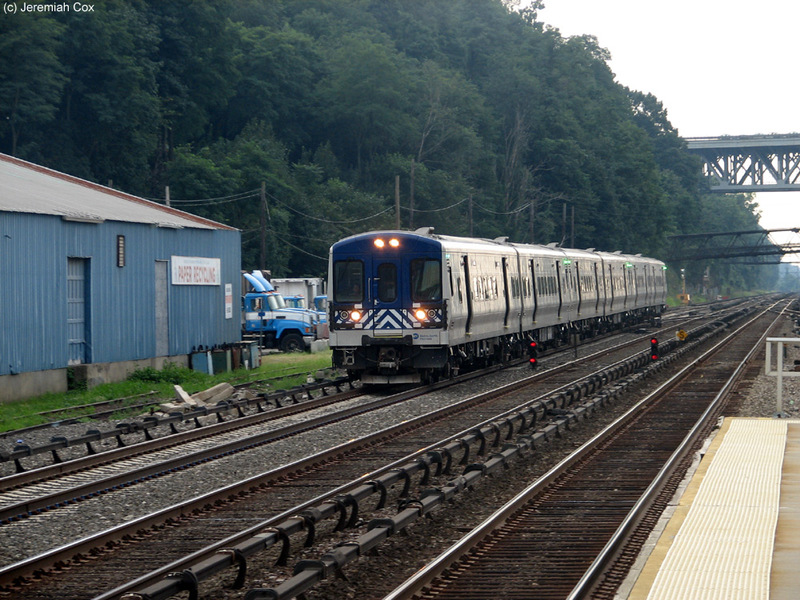 M7A #4111 approaches Tarrytown leading a Croton-Harmon bound local train.